After taking down street barricades ’round midnight on Thursday and Friday, way past my Ben Franklin bedtime, I’m running a little behind on my blog posting. Here is an image of Potter Mania. 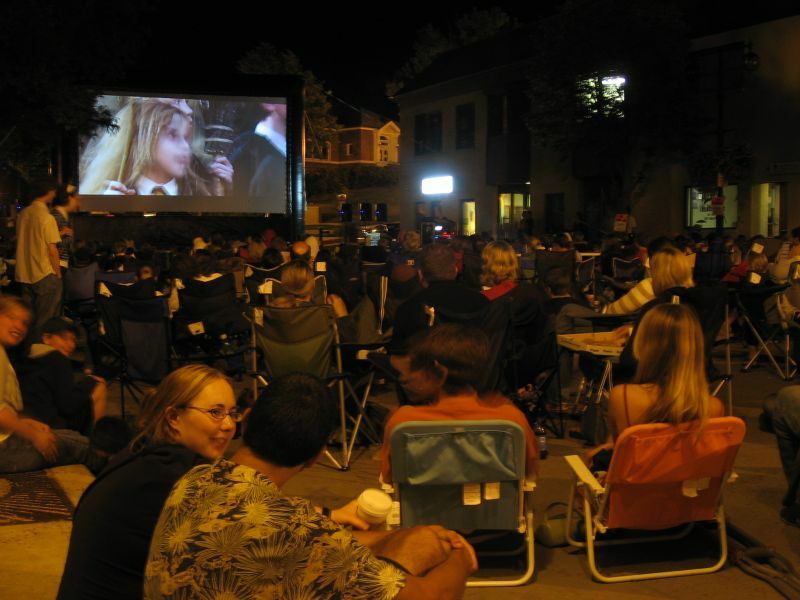 Between two-thirds and three-fourths of the 400 block of Division Street was filled with chairs, couches, bikes, and pedestrians, as people were enjoying the perfect night and watching the first Harry Potter movie. It was pretty darn cool. In fact, there were hundreds and hundreds and hundreds and hundreds of Nothfield youth in Downtown on Friday…a good portion of the student body of the Northfield public schools…playing chess, drinking cream soda, watching the movie, and standing in line waiting for a book. It’s a far cry from the descriptions of our town and our youth that the media has presented lately. I think that the image presented with this blog posting is more accurate. It was so much fun, organizers and participants are already brainstorming concepts for similar events in the future. For more pictures, see the website Locally Grown or the blog post by The Raven. Thanks for this post, Ross, and for mentioning the coverage at RCBlog. What a terrific stretch in downtown Northfield. First the Taste of Northfield (thanks to the NDDC for such a great night), then the magic of Harry Potter, and Crazy Daze is a few “daze” away — all of it within the span of a week! Thanks to the NDDC for its support/organization of these efforts.